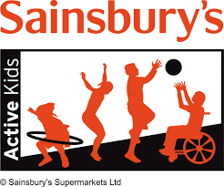 We are collecting Sainsbury’s Active Kids Vouchers in order to replace some of our sports and outdoor equipment. Please bring your vouchers to section meetings on Fridays – they really will make a difference to the Group! Please also ask friends, family, colleagues, neighbours etc. to ask for their vouchers and pass them on to us – the more we can get, the more equipment we can order at no extra cost to the Group.